While standing in the check-out lane at the grocery store, I watched the young lady who was robotically scanning labels and punching in price codes for fruit and vegetables and with meticulous organization, bagged each item that I was about to purchase …she never turned her eyes away from that task. To be honest, I wanted her to hurry-it-up and not to be so careful with the bagged lettuce and carrots. It didn’t matter to me if produce was mixed with dairy or if a jar of tomato sauce was placed in a bag with paper napkins. But I stopped that impatient urge of aggravation to notice her. To appreciate her methodical and calculated process of scanning and bagging food. WOW! Her comments almost brought me to my knees. She looked up at me with clear eyes and a beautiful smile. “Thank You!” was her reply. She proceeded to tell me about her day as a cashier (I will never take grocery store cashiers for granted again) and she gave me a peek into her family. She is also attending a community college and working for a better life for her children. Our conversation continued as I shared with her some tidbits about my family and the peace that God has given me through the trials I am facing. I noticed that she slowed down scanning food. She slowed down organizing the bagging procedure. She felt that I wanted to listen to her…and she wanted to listen to me. I continued to compliment her, to praise her work ethic and striving to succeed for her family…and I sweetened all of that with nuggets of God’s grace and the peace He gives to them that search for all that. And while we chatted, the strangers standing in line next to me had their ears opened and eyes watching us, with pleasant expressions on their face. So you see, we are all searching for sanctuary. A better place to be. The photo I shared of this post is of a sanctuary, a photo of the interior of a grand and humble church. Perhaps it’s the image you may think of when you consider where to go for sanctuary. But sanctuary can be found wherever you are. I discovered sanctuary while standing in line at the grocery store talking with a stranger about God’s love and grace because God was with me…with both of us. She is searching for sanctuary. I am searching for sanctuary. Our deepest and most enduring peace and happiness…a sanctuary–can only be found in God. This is a book review of, Flight Path by Janie Buck and Mary Lou Davis. 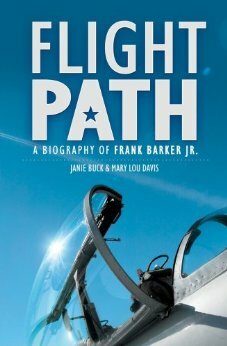 Flight Path is the page-turning biography of Frank Barker, Jr. This is a book of incredible adventures! It is hard to fathom how close Frank came to death many times only to be rescued by God for a greater mission in life. The book flowed at a fast pace with humor when speaking of his reckless lifestyle, while most chapters will make you ponder and consider the “stars” in your own life that represent a reminder of God’s precise grace and action at the perfect time. With Frank, some of those “stars” just caused him to try harder to be a better person…he did not know about grace being a free gift of God. The authors wrote the book as if Frank were telling his own story, which made reading the book even more enjoyable and enthralling. During the military career, Frank had the nagging thought that he should go to seminary so that his life would be more pleasing to God. While in seminary, he discovered the incredible good news of Jesus Christ. The book is filled with innumerable lessons in life. Flight Path is a fascinating read about a humble man broken to the will of God, chosen, called and guided each step of his way by our great God. Frank Barker is an example to follow. A few months ago, my husband and I had the wonderful privilege of hearing Dr. Frank Barker share his life story to a group of college students who are involved with Campus Outreach, in Indianapolis, IN. Frank Barker is the founder of Campus Outreach, which had its very humble beginning at Briarwood Presbyterian Church. So It was very thrilling for all of us to hear him retell some of those very funny yet scary hair-raising experiences but most importantly, to hear him tell of God’s grace rescuing him over and over again. Each Campus Outreach region sits under the authority and supervision of a regional church. Campus Outreach partners with numerous denominations that are healthy, Bible believing, evangelical, Gospel preaching, and reformed in their doctrine. These Regional Churches provide a crucial source of accountability, leadership and a substantial percentage of the resources for the region’s effective existence. Campus Outreach is not a para-church organization, but rather an extension of the church on the college campus. As a result, the ministry at each campus is connected to a local church near that campus. This provides our Campus Staff and students the opportunity to partner with that church by bringing non-Believers and Believers alike to sit under the teaching of scripture. It also provides connection with the larger body of Christ and instills value for belonging and partaking of the Body of Christ. My husband and I are grateful for the opportunities we’ve had to meet Campus Outreach Staff and college students while living in Jacksonville, FL, Charlotte, NC, and Indianapolis, IN. Here I go! The great adventure begins tomorrow morning at 3:27 AM when I wake up to sound of crickets coming from my cell phone alarm. I’m writing this quickly without editing so that I can close my heavy eyelids for needed sleep. God is faithful to be present from generation to generation to generation. If you live long enough, you will experience seeing this too. 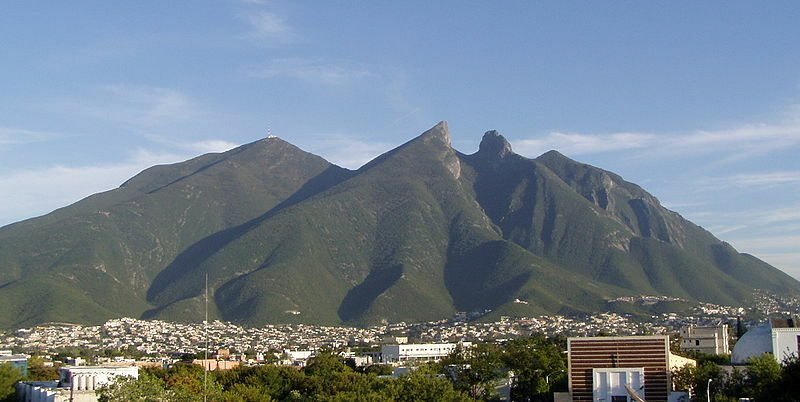 So, I’m going on an adventure to Monterrey, MX with some of those young adults that I knew in children’s ministry years ago. I love that! What gives me the most joy is that they will lead me on this mission trip. I love the full circle of this story about God’s faithfulness to be present as evidenced in the lives of these “kids.” And I love that we share the same passion to be present in the lives of more people–children! We have teamed with Mission to the World, an organization that is very passionate about serving people all over the world such as: rescuing street children, working to stop human trafficking, church planting, mercy, clean water, education…the gospel. MTW’s vision is to be present. I am glad for the opportunity to partner with this organization, to serve children in a small community in Monterrey and also to connect with families in a rapidly growing new church. 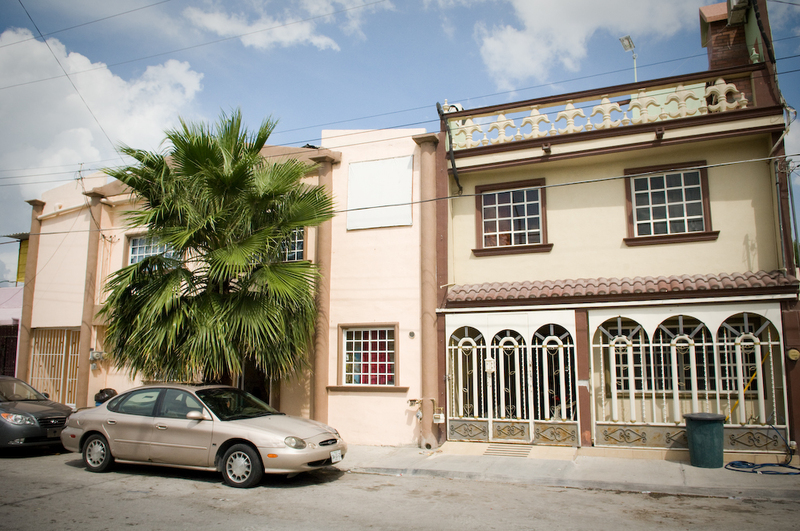 This church is making a big impact in their community. I’ve written two other posts on the topic of this adventure. You can find them here. So, I’m going on an adventure in a few hours! More Grace to be present. Linking up with everyone for Five Minute Friday, where a remarkably encouraging and loving community gathers to write for five minutes. This week’s prompt is: PRESENT.